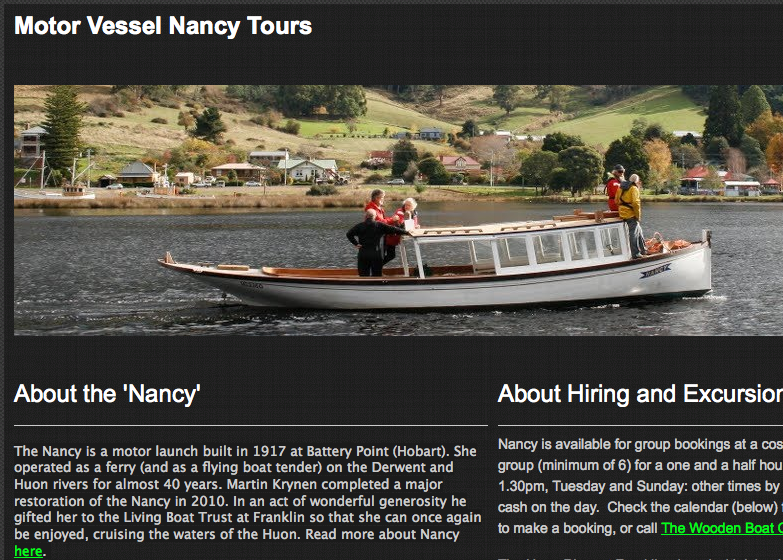 We are now accepting bookings online using the form at http://bit.ly/1b4FE1M, and a couple of people have taken advantage of this already. 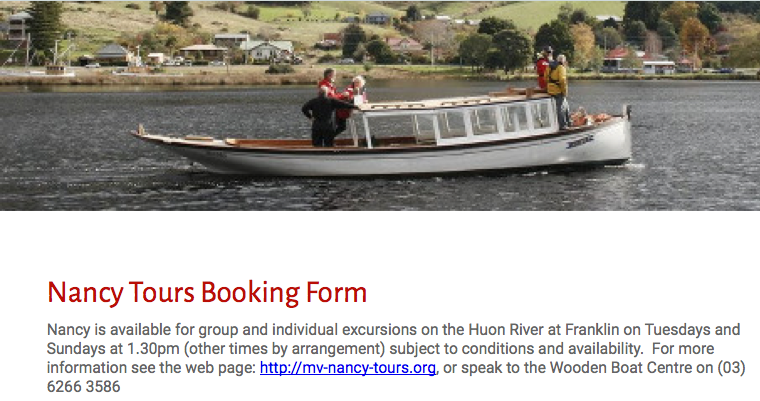 Information from this form flows to a spreadsheet for administrators, and to a calendar on the new 'MV Nancy Tours' website: mv-nancy-tours.org (see sample pics below). All potential customers should be directed to this website. We all know how good it is out on the river, and who are we to deny our friends? Spread the word so that they can book now and beat the rush.